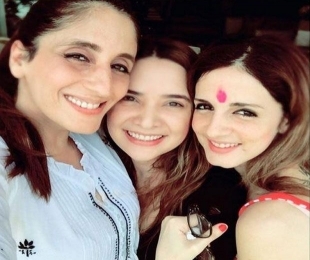 Mumbai: While most of Bollywood celebrated the festival of colours with grand parties, Sussanne Khan had a quiet get together with her brother Zayed Khna, sister-in-law Malaika, and sister Farah Khan Ali . The celebrity interior designer’s divorce from actor Hrithik Roshan was finalised last year. The couple tied the knot in 2000 and have two sons together, Hrehaan and Hridhaan.